Overfishing is a real problem and responsible in some cases to 90% reductions in available marine life. These reductions affect the livelihoods of fisherman and affect the balance of life in our waters. 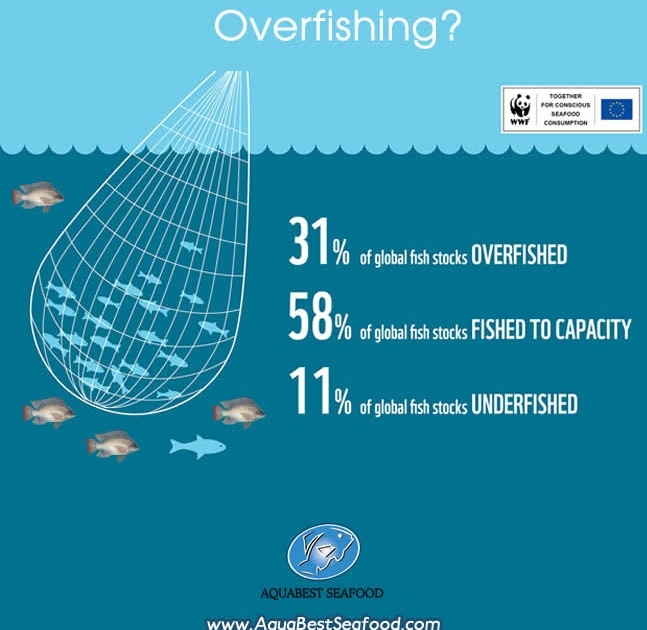 The primary solution to overfishing is to stop fishing affected fisheries immediately, although, with the food demands of the world, this isn’t always a possibility. 2)Place controls on secondary catches, Fishermen may be fishing for a specific species, but they may have bycatch that must be controlled in some way. The unintentional killing of fish and other marine life that is not part of the target catch must have limitations in place to prevent these actions from occurring. 2)Protect key habitat areas, Spawning locations, delicate areas of the seafloor, reefs, and other integral habitat areas must be directly protected from fishing activities. 3)Know what you are eating, Choose to eat seafood that was harvested with the lowest possible environmental impact. The effects of overfishing are still at a point where they are reversible. By taking actions today, we can create a world where future generations will not need to worry about this issue.